Hi there. 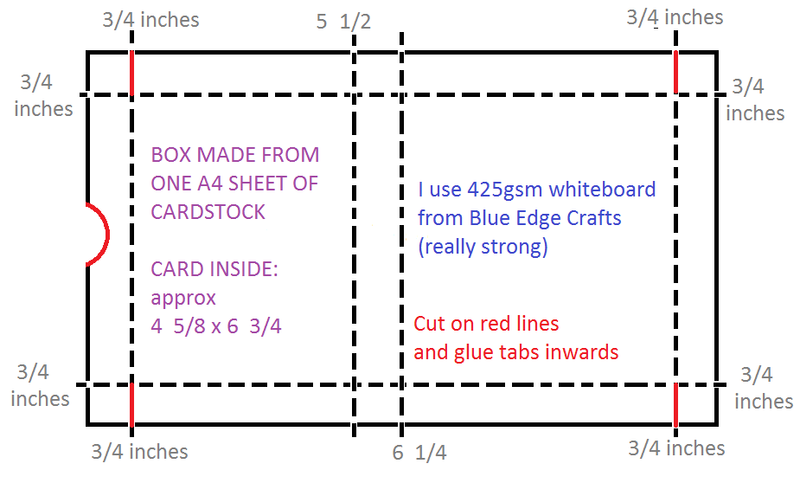 This is a quick post as I just wanted to share with you a template I just made for making a card box using only one sheet of A4 cardstock. It's all in a picture which has all the details on there. 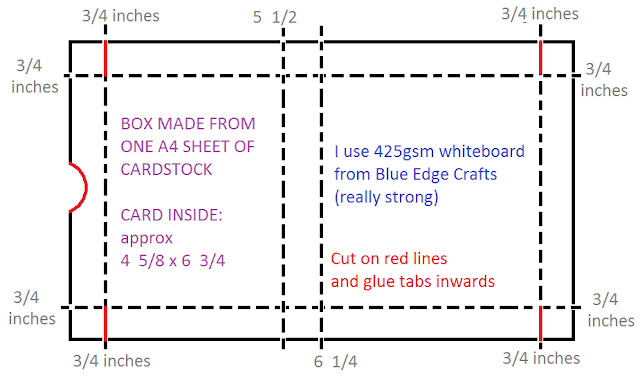 Oh you may want to cut a half circle out of the top (left side) edge to make opening and closing the box easier, I forgot that bit, but have now added it.